CuddleTunes technology entrepreneur Michael Robinson brings his hi-tech version of a kid's classic toy to the Shark Tank in episode 413. Cuddletunes is a cute teddy bear with an MP3 player embedded inside. Kids can play music and grown ups can pre-record their voices to play from the player too. What makes Cuddletunes unique is you can load your voice online and the embedded MP3 player can download it; this keeps content fresh. Traveling parents can update every night for a personal goodnight to their child. The company website has all the information and technology to personalize each Teddy Bear's sounds. Parents who travel a lot, remote grandparents, and parents of sick kids can use the Cuddletunes bear to read their favorite kid a story, sing a song, even say bedtime prayers. For small children, the cuddly bear is a lot more comforting than a telephone or a computer screen and it can help them feel closer to someone who can't, for whatever the reason, be there. Mike came to the Shark Tank seeking $400k for a 20% share of the business. Mike created the toy for his own kids, whom he was away from for large amounts of time while he traveled on business. He's invested about $1 million into the business and its proprietary technology. The Sharks get a bit edgy when Mike doesn't offer a direct answer about his sales figures. They get riled up more when Mike says some of his “investment money” is the value of his time. Barbara remembers her dad recording songs on a tape player when she was a kid; it made her sad her dad wasn't there, so she goes out. Mark sees nothing unique about the business and goes out too. Daymond and Robert quickly follow. Mr. Wonderful doesn't think the business is worth it and he goes out too. Mike finds out the hard way that the Sharks aren't very cuddly. Shark Tank Blog, in an interview with Mike Robinson, learned that Mike's whole story wasn't shown in the edit. Cuddletunes does a lot of work with the military. Deployed soldiers' families are a substantial part of the business. Grandparents account for about 50% of sales, too. While Mike didn't share specific sales figures, his business continues to operate and he saw a nice 3000% increase in website traffic, which he sustained for several weeks after the show. I thought the seemed like a great idea and was sad that the Sharks passed on it. Imagine my delight when I got an email about a Groupon for the CuddleBear! Long story short – I reviewed the company’s website before purchasing 2 Groupons. It was only upon attempting the redeem the Groupons that I learned the company was being intentionally deceptive about shipping costs and the true value of the Groupon. I contacted the company and the response I received was that if I didn’t feel the bear was worth the cost of the Groupon PLUS the inflated (and hidden) shipping cost, I should request a refund from Groupon, which I have done. After that I looked at some Amazon reviews of the product and evidently it poorly made, with several design flaws, and not at all durable. I guess I’m glad they attempted to be shady about the total cost. 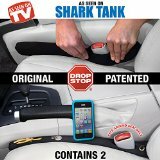 © sharktankblog.com. All rights reserved.